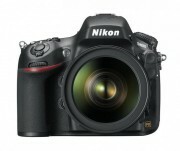 The Nikon D800’s 36.3 megapixel image sensor will undoubtedly lead to huge image file sizes. 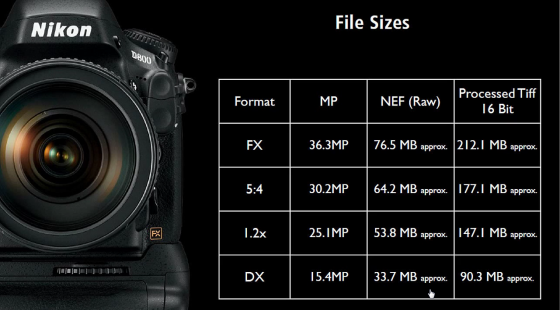 Nikon was obviously ready to give you an idea: 76.5 MB for RAW and over 200 MB for 16-bit TIFF file! If you have pre-ordered the Nikon D800/D800E, you may also want to consider if it is time to get more flash cards, storage, and a better computer. Posted in Digital SLR Cameras on February 8th, 2012. 2 Comments. 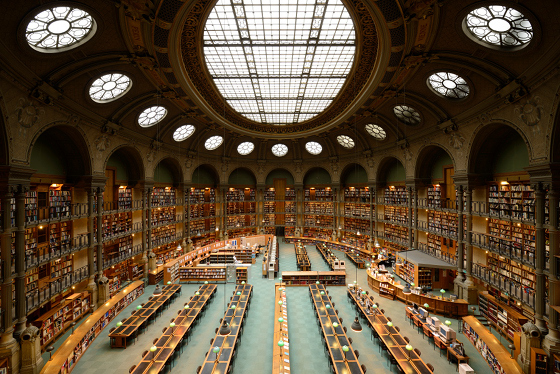 Some people found that the official Nikon D800 sample images were quite old. For example the following photo was taken on July 10, 2011. The explanation that the Nikon D800 was actually scheduled for release in October 2011 but was delayed due to nature disasters especially the severe flood in Thailand seems to make sense. Posted in Digital SLR Cameras on February 7th, 2012. No Comments. Posted in Digital SLR Cameras on February 6th, 2012. No Comments. Posted in Lens on February 6th, 2012. No Comments. Posted in Digital SLR Cameras on January 30th, 2012. No Comments. Posted in Point & Shoot Cameras on January 30th, 2012. No Comments. 50-Dollar Follow Focus (FDFF) is a cool gadget that can boost your DSLR videography to a new level, professional one or not. 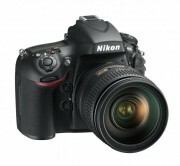 What it does is allow you to precisely and smoothly control the focus of your DSLR lens during video recording. Check out the video below and the Kickstart project page for 50-Dollar Follow Focus to pre-order yours for $60 (not a typo, shipping does cost extra). Posted in Accessories on January 26th, 2012. No Comments.